The United States Department of Treasury's Internal Revenue Service (IRS) designed the 1099-MISC form to help businesses and workers file information on various kinds of income \above and beyond what's included on IRS Form W-2. 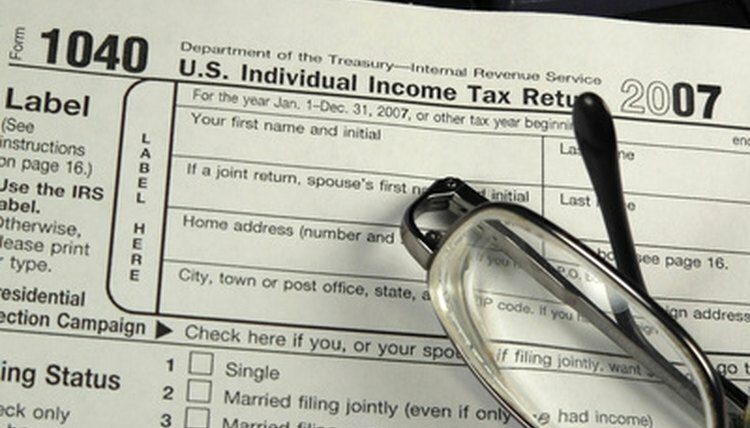 Businesses mail out the 1099-MISC form every year to both the IRS and any applicable workers. If you're a business or a worker, know the general rules governing form 1099-MISC to ensure that you're in compliance with all applicable tax laws and regulations. The IRS demands that businesses file their 1099-MISC forms by the end of January of the year following the tax year in question. For example, businesses must file by January 31st in 2011 for tax year 2010. Paper copies of the 1099-MISC must also get sent to the worker listed on the form by the end of January. The IRS requires form 1099-MISC if a worker in question has earned specific types of income that's not reported on the standard W-2 form. A W-2 reports standard wages, salaries and tips. Businesses need to file a 1099-MISC if a worker earned a minimum of $10 in royalties, a minimum of $600 in non-wage payments (e.g. prizes, medical payments and payment for services), any proceeds to an attorney, or any money earned from catching fish or fishing boat enterprises. Form 1099-MISC isn't a tax return, but merely files information to the IRS. Workers must file any applicable tax returns, like form 1040, using the numbers reported on the 1099. Individuals are responsible for taxes on all 1099 income, and are also required to pay taxes even if their payments fell under the 1099 reporting threshold. For example, an independent contractor who earns $400 doesn't meet the $600 threshold that would make a business file a 1099, but should still report that income and pay any applicable taxes. If a business needs to file 250 or more 1099 forms, it must file them electronically. Otherwise, the Internal Revenue Service assesses a penalty of $50 for each 1099 that's filed via paper, as of 2010. Paper 1099s are acceptable only if the business has less than 250 1099s to return. The 1099s must be filled out completely and legibly. To avoid errors, the IRS recommends using a computer or typewriter to print out the paper 1099s rather than completing blank ones out by hand. Duvauchelle, Joshua. "1099 Rules From the IRS." , https://legalbeagle.com/6317815-1099-rules-irs.html. Accessed 21 April 2019.